In the first week of April, the 41st graduation rites of our grade six pupils needed a spiritual speaker for their Baccalaureate Service. I have no the other name in my mind to recommend but Pastor Claridad. I contacted him right away through SMS from my cell phone. He verified the date and confirmed it that he is available. Rev. Pastor Leo Claridad is my fellow columnist in Negros Bulletin, a weekly vigilant newspaper in Western Visayas. I read his column, “From a Distance”. When the newspaper became daily, he got a new column, “Gentle Whisper” And mine is "Vibrations". Thus, we had been working together in the Negros Daily Bulletin for 25 years. Aside from such column titles he used, he also used Gypsy moth in his social media. And he has changed it recently to Le Clear y Galvan. What he writes in his column is his spiritual insights and its application to the people’s lives. 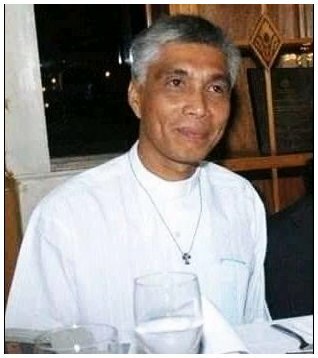 Now he is on and off in the newspaper for he is assigned to Panay Island, particular in Lay-ahan Evangelical Church, Pototan, Iloilo as a Parish Minister. What a long absence we have had for we’ve been away for 5 years and we're united during our school closing exercises of our Grade Six pupils in our humble school, Balabag Elementary School, Division of La Carlota City. Rev. Pastor Claridad explained the liturgical theme found in John 20:19-31 which is anchored in the principle of L.I.F.E. in relation to Jesus’ ministry here on earth. He related this to the “journey” of our graduating pupils as they are pursuing their secondary studies. They don’t know the principle embodied in L.I.F.E. He elaborated the impact of the behavior of Jesus’ apostles when Jesus was already nailed and died on the cross. They’re having a closed door meeting among themselves. They’re in a dilemma on what to do while their Master is already gone. By such analogy, Pastor Claridad told the kids that they may be facing such situation on their journey to a better and higher education. They’re not alone. They’ve still their parents to guide them along the way. He told them the practical principles within the LIFE. Like a fatherly advice, he said to them that they should have and maintain a loving (L) relationship with God and fellowmen. He urged them to live a life of Integrity (I) and they should follow (F) their dreams, and always and every day expect) surprises or something new and good from God. He presented life’s practical principle by citing the actual experiences taken from his various lecture and sermons as exemplified by his members and followers. “Make L. I. F. E. as your guiding principles in all your undertakings and you will be successful,” he concluded his one-hour liturgy.